Flexible Conduit Connector - Bliss Yih Enterprise Co., Ltd. Flexible Conduit Connector type E2101 is thread less and can be used to connect EMT conduits as well as electrical flexible conduits. 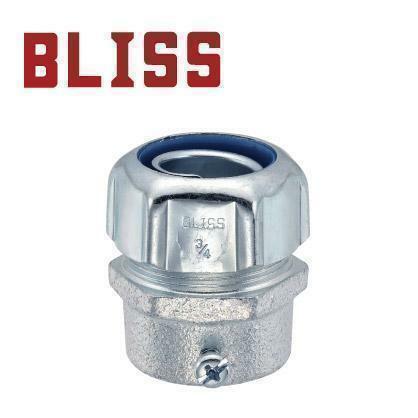 Flexible conduit connectors developed by Bliss Yih are manufactured under strict standards to delivery durable, accurate fitting.